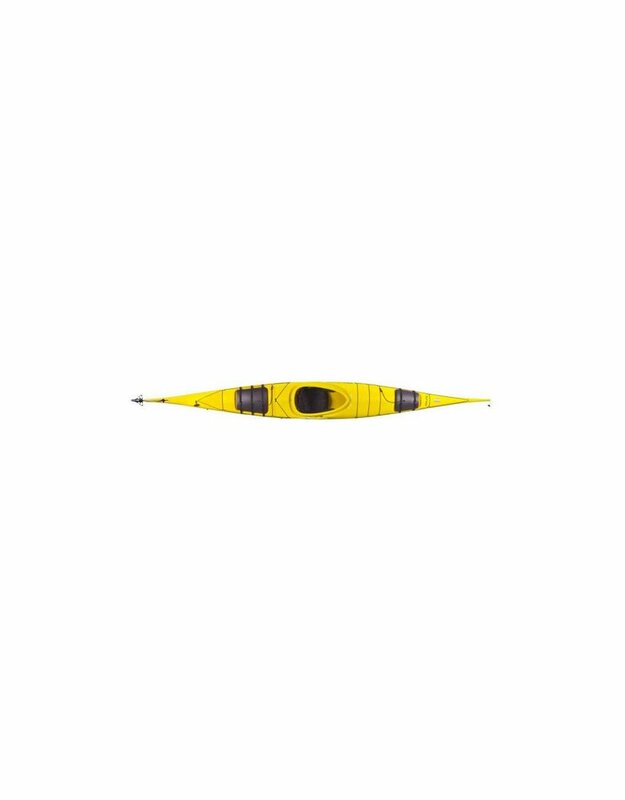 Its long waterline and tapered contour allow the kayak to accelerate quickly and track beautifully, while the up-swept bow provides buoyancy when paddling in waves. A moderate rocker makes the kayak very agile while performing a lean turn. A high back deck provides ample storage for extended touring. This comfortable and spacious kayak features a low profile offering minimal wind resistance, making the Inukshuk easy to control regardless of the pilot’s skill level.